Located approximately 280 metres from the city centre, the Hotel Madalena is in a great location, for easy access to the post and surrounding islands. All rooms were renovated in 2010, and the views are perfect, making this boutique hotel really special. 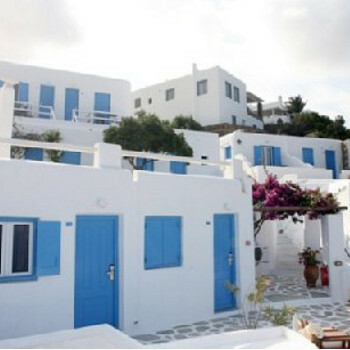 The hotel Madalena is sited on an incline about 5/6 mins from Mykonos town. The majority of the rooms offer unrivalled views over the town and harbour. We had a large studio on the third floor with a large shared terrace with plenty of room for seating. The studio was very nicely appointed with a huge bed and a really nice bathroom with a proper shower cubicle (this is Greece don’t forget). Breakfast is served on the second floor with the option of eating "al fresco" with views over the harbour. Food is excellent with plenty of choice and even a choice of how you would like your eggs and even proper toast. The hotel owners were very attentive and went out of their way to ensure your stay was memorable. An excellent quality hotel in a great location.